Every year, some 15,000 containers are transported directly between Rotterdam, Vlissingen, Terneuzen and Ghent via a regular inland shipping service. Before 2016, the four ports in question weren’t linked via a scheduled service, although there was already inland shipping between the individual ports. A large share of the cargo was transported via road haulage. In response to increased demand for a frequent cross-border connection, in December 2016 Danser launched a weekly container vessel service that calls on each of the ports. Its introduction contributed to the current modal shift from road haulage to inland shipping and takes optimal advantage of the participating ports’ strong maritime and transhipment functions. The collaboration – involving an annual volume of some 15,000 TEU – can be considered a success. ‘This service takes optimal advantage of the participating ports’ strong maritime and transhipment functions,’ adds Commercial Manager Jean Ruinard of North Sea Port, the 60-km long international port area that extends from the Dutch port of Vlissingen to Ghent in Belgium. Read more? 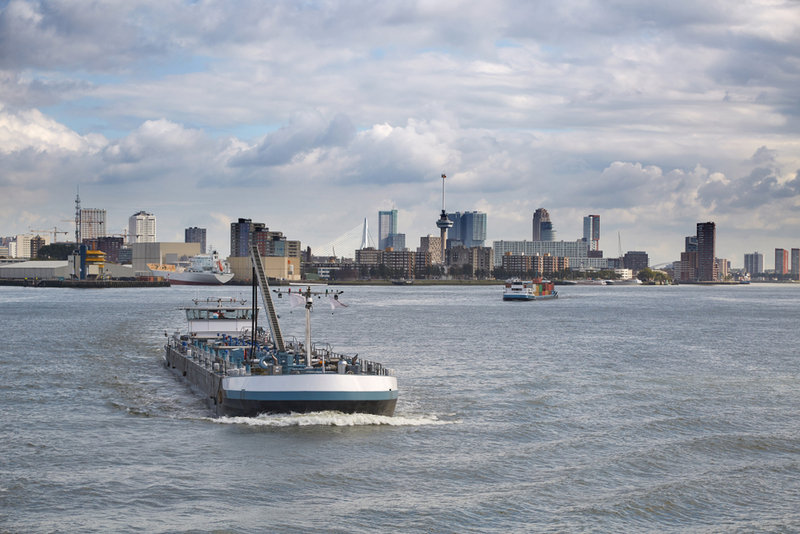 Visit the website of ‘Port of Rotterdam’ to read the full story.